OFAC - The Office of Foreign Assets Control (OFAC) is an agency of the United States Department of the Treasury under the auspices of the Under Secretary of the Treasury for Terrorism and Financial Intelligence. OFAC administers and enforces economic and trade sanctions based on U.S. foreign policy and national security goals against targeted foreign states, organizations, and individuals. EAR - The Bureau of Industry and Security (BIS) is responsible for implementing and enforcing the Code of Federal Regulations Title 15 chapter VII, subchapter C, also known as Export Administration Regulations (EAR), in the United States. 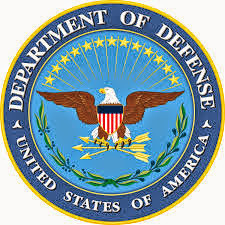 ITAR - International Traffic in Arms Regulations is a set of United States government regulations that control the export and import of defense-related articles and services on the United States Munitions List (USML). 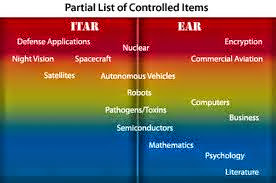 ITAR Prohibited Countries - Afghanistan, Belarus, Cuba, Cyprus, Eritrea, Fiji, Iran, Iraq, Cote d'Ivoire, Lebanon, Libya, North Korea, Syria, Vietnam, Myanmar, China, Haiti, Liberia, Rwanda, Somalia, Sri Lanka, Republic of the Sudan (Northern Sudan), Yemen, Zimbabwe, Venezuela, Democratic Republic of the Congo.